MIDDLE AGED MEN PLAYING GULLY CRICKET? 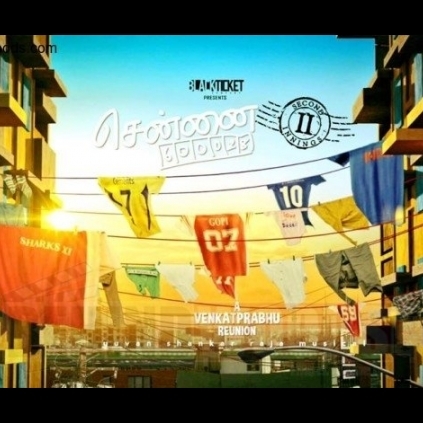 Venkat Prabhu’s Chennai-28 was a cult classic of sorts and the director would soon be starting the sequel of this much appreciated film to be produced by Black Ticket banner. Sources state that the sequel will talk about the lives of the boys who have become men now, married, gotten jobs for themselves. That said, cricket and friendship will continue to be the core plot of this sequel, add sources. It will be a re-union of sorts as stated in the first look motion poster that was released earlier. Looks like most of the cast members who were a part of Chennai-28 will feature in the sequel too with few additions. How would it be to see middle aged men playing gully cricket? But that’s where one would see the creative intelligence of Venkat Prabhu in full form, explain the sources. Right now Venkat Prabhu is reported to be finishing the script work for the climax portion and the shooting dates will soon be firmed up. People looking for online information on Chennai-28 part 2 will find this news story useful.